Our mandate is to provide healthy, nutritious food that meets the demands of an increasing population and a delicate planet. It starts with a seed – all natural, non-GMO. 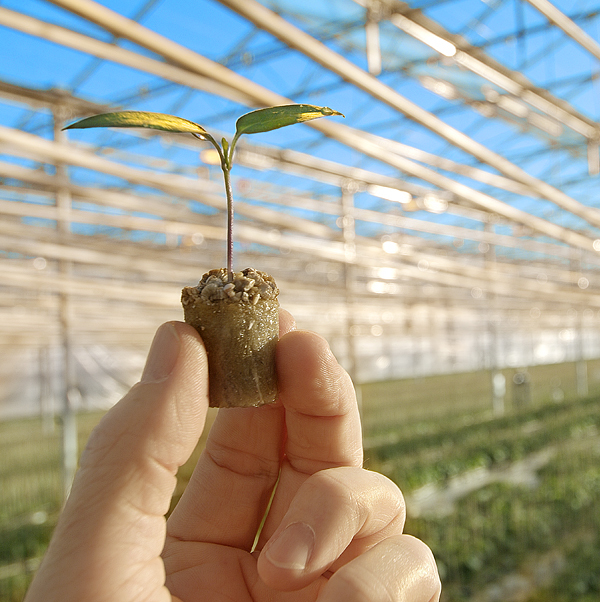 Windset Farms® quality starts with premium non-GMO seedlings, nurtured in pristine conditions. Our years of experience ensure consistent product quality and performance from seed to fruit. Windset Farms® has an ongoing commitment to utilize as many sustainable initiatives in all levels of our operations. Irrigation drain water from plants in the greenhouse is collected, filtered, treated, and recirculated back to the plants. After our irrigation water has been recirculated and reused, it is further processed through our de-nitrification wood chip biofilters, virtually eliminating all nitrates from the water. The water is beneficially reused to irrigate nearby pasture crops, ultimately returning to the groundwater aquifer. Irrigation water is processed through our state-of-the-art water treatment system which includes ultra filtration, reverse-osmosis and ozone. The use of thermal screens increases heat retention at night within the greenhouses, reducing energy usage. Our greenhouses and associated technologies allow us to use much less land compared to outdoor growing to achieve similar total yields. Our Ultra-Clima Greenhouse® transforms the growing environment from a “passive” climate to an “active” climate, where many growing parameters are controlled, including heat, humidity, pressure, and air movement. We collect 100% of the CO2 generated from on-site boilers. We feed this CO2 to our plants increasing photosynthesis, helping us to increase quality, yield, and taste of produce. All Windset facilities have green waste composting programs to ensure that we return biological materials back into the soil, helping to lower our overall carbon footprint. Our best agricultural management practices for water treatment, reuse and recirculation have been heralded as “industry leading” by regional County agencies. At Windset Farms®, all greenhouse staff receive extensive food safety training. Our food safety policies and procedures are strictly enforced by every person who may come into contact with our produce. Our operations are audited and certified by independent third parties with regards to all aspects of our business including sanitation, maintenance, employee training, and pest control programs. We are proud to provide these certificates, assuring buyers and consumers that our produce and facilities are certified food safe. We utilize natural predators (good bugs) to control the populations of harmful pests in our greenhouse, allowing us to control pests naturally. Our temperature and humidity controlled coolers allow us to care for, store and handle the plentiful bounty our greenhouses yield. 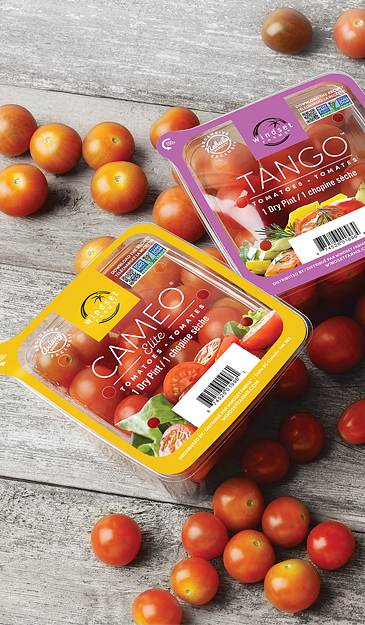 After harvesting, produce is quickly graded, packaged and immediately chilled to maximize shelf-life. We are committed to sustainability on all levels of our operations, right down to our packaging. All Windset packaging is recyclable, easy to open, and designed to maintain quality and freshness of our produce. Every day, we are working to develop new composting methods and products to ensure a sustainable future for our farm, and your family.